It’s that time of year again! The time to cram 13 weeks of university content into your brain for your exams, while I, and a plethora of other arts/humanities students sit back, relax and thank our lucky stars we weren’t smart (or self-loathing) enough to study engineering. It’s a stressful period of life for sure. But your pain and suffering is shared by tens of thousands of students all around the place. 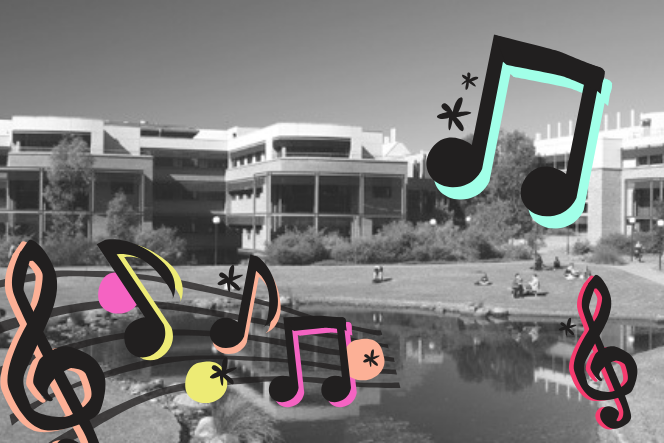 I took to the streets of UOW to find the songs that sum up the student experience, and here’s what went down. Alex Lahey is one of those songwriters who perfectly encapsulates the thoughts and feelings of her listeners. While this song is more about letting go because of a comfortable relationship, lines like ‘is this blood on my hands or is it just red wine?’ and ‘I’ve gained weight and I drink too much’ are surely representative of any uni student who’s developed a taste for weeknight vinos. This isn’t the only time Lahey pops up in this playlist, by the way. Obviously “Every Day’s the Weekend” made an appearance, less for its telling of a new relationship, and more that uni, plus the copious amounts of midweek drinking has left me with a skewed sense of time. Honestly, it’s not a great song but the title speaks for itself. You know that feeling when you’re sitting in front of the computer, waiting for your assignment to write itself? And you don’t even do anything but you somehow see the word count going down? That’s what this song sounds like to me. “EISEMFWY” identifies the struggles of daily existence, like sleeping in, ‘drooling on the bedsheets, hungover again.’ Don’t worry, the theme of this playlist is not lost on me. The science behind whether or not music helps with studying is still unclear, but there’s no denying that music can help to boost moods and morale, and hopefully motivate you to get those HD’s.